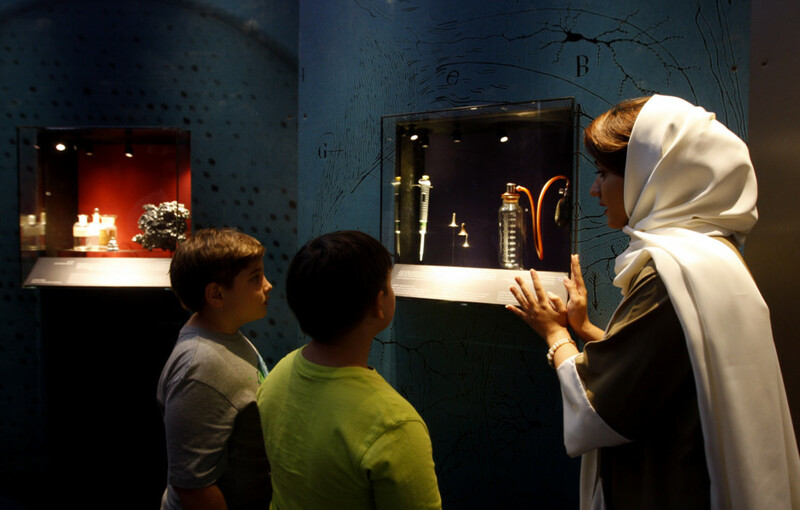 Dubai: Discoveries and inventions that have changed the world and improved the lives of people are now being displayed at the Nobel Museum exhibition, which has brought to life the achievements of Nobel Laureates in physics, chemistry, physiology, medicine, literature and peace. The travelling museum organised by the Mohammad Bin Rashid Al Maktoum Foundation (MBRF) was inaugurated on Sunday and aims to shed light on ‘Ideas Changing the World’ — a theme that is meant to inspire intellectuals and students to contribute to making a difference and helping humanity face future challenges. Running from March 29 to April 30 at the Burj Khalifa Annex, the museum, which has been brought to the region for the first time, highlights the prestigious position of the Nobel Prize in honouring outstanding individuals who have shaped the transformation of the world. During a press conference yesterday, Lars Heikensten, CEO of the Nobel Foundation, spoke about Alfred Nobel and his will, which laid the foundation of the world’s most famous award, the Nobel Prize. He explained how Nobel penned his will in 1895 and decreed that revenues earned from his fortune should be used for prizes to those who contributed to the development and progress of mankind in five fields. Speaking about the importance of creating a knowledge-based society and how such events are on a par with MBRF’s strategy to spread knowledge in the Arab world, Jamal Bin Huwaireb, Managing Director of MBRF, said he is certain the museum will motivate young people to innovate. 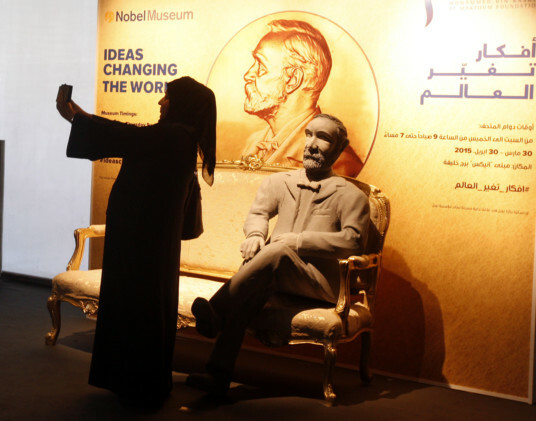 He also said that through five pavilions, visitors will be able to get a closer view of the concept of the Nobel Prize, its objectives, and Alfred Nobel, along with his contributions in the service of humanity. As visitors walk through the museum, they will get the opportunity to see “certain Nobel Prize-awarded achievements from each decade, which they will be able to relate to and recognise”, said Fredrick Skog, the curator. A screen explaining the background of two Nobel Laureates from the Arab world — Naguib Mahfouz who was awarded the Prize in Literature and Ahmad Zewail who contributed to chemistry — can be found at the entrance. Inventions in medicine that helped save lives, such as the discovery of insulin in 1921, which opened new possibilities in the treatment of diabetes and other Nobel-awarded research that paved the way for a range of medicines are also on display. The museum is free for the public, and there will be special workshops led by experts from the Nobel Museum held on the sidelines of the exhibition, giving residents a chance to interact with the concept of innovation.